As part of its continued commitment to help organizations connect and automate how they prepare, sign, act-on, and manage agreements, DocuSign announced the general availability of its Fall ’18 Release, showcasing innovation enhancements across the board. The DocuSign Fall ’18 Release includes updates to the company’s eSignature solution and its broader System of Agreement Platform—the most significant of which include Smart Sections, Intelligent Insights, mobile document scanning, and an Ethereum blockchain integration. Smart Sections adds onto the Responsive Signing functionality announced in the Summer ’18 Release. Responsive Signing automatically converts a PDF into HTML so it’s easy to read on any size screen with any orientation. Smart Sections then takes this several steps further by defining collapsible sections, page breaks, custom formatting options, and more. For longer and complex agreements, this additional structure and interactivity delivers a further streamlined experience. 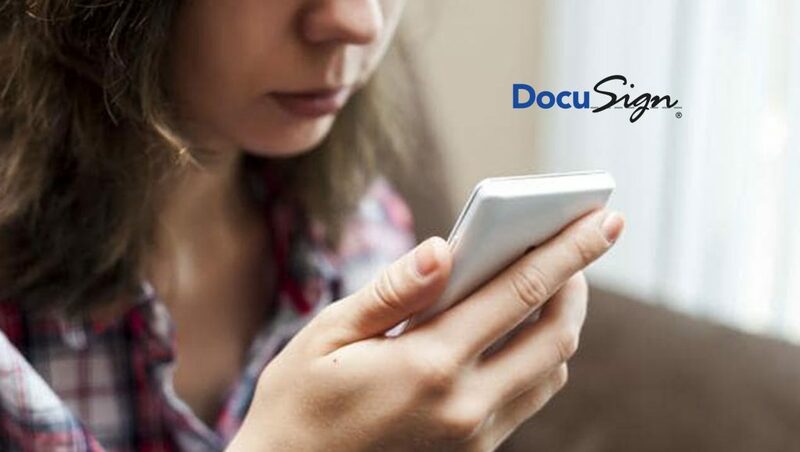 The mobile document scanning feature enables customers to capture, crop, resize and add multiple pages directly from an iOS or Android device before importing into DocuSign to send and sign. This is useful in both personal and business environments—when on the move, or when a professional scanner is not readily available. Intelligent Insights—powered by one of DocuSign’s partners, Seal Software—goes beyond keywords to ‘understand’ concepts in agreement clauses, as a human analyst would. For example, it would recongnize that a clause about Internet cookies related to privacy, even if the word ‘privacy’ was absent. The same technology can automatically classify and compare how different agreements handle various topics, so customers can spot anomalies, risks and opportunities quickly. To this end, also available is an add-on to Intelligent Insights, the GDPR Compliance Pack powered by Seal. It is designed to help companies meet the European Union’s GDPR regulations by analyzing agreements for risk and exposure. Lastly, while DocuSign can verify the signatures and integrity of any DocuSigned document natively, there is increasing interest in accessing similar evidence via blockchain technology. DocuSign is therefore including a pre-built integration with the Ethereum blockchain in the Fall ’18 Release.